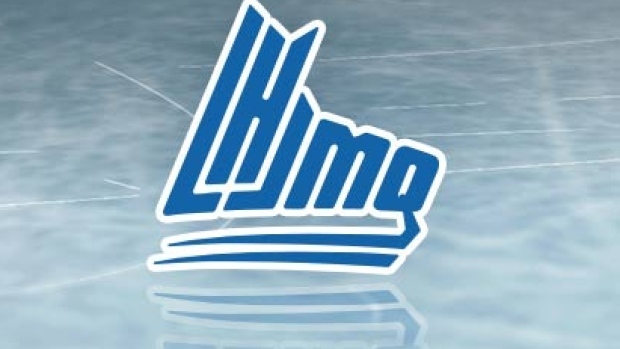 HALIFAX — The Halifax Mooseheads have forced a deciding seventh game in their first-round Quebec Major Junior Hockey League playoff series. Raphael Lavoie scored two goals and set up another to lift Halifax to a 6-1 victory over the Quebec Remparts in Game 6 on Monday. Keith Getson also scored twice for the Mooseheads, who host Game 7 on Tuesday night, and Samuel Asselin and Antoine Morand rounded out the attack. Samuel Dickner had the lone goal for the Remparts. Alexis Gravel made 23 saves for Halifax. Carmine-Anthony Pagliarulo started in Quebec's net, allowing four goals on 30 shots through 40:26. Kyle Jessiman stopped 9-of-10 attempts the rest of the way. ROUYN-NORANDA, Que. — Patrik Hrehorcak scored twice and Felix Bibeau and Peter Abbandonato had a goal and two assists apiece as the Huskies beat Shawinigan in Game 6 to advance to the second round. Justin Bergeron, Joel Teasdale, Mathieu Gagon and Rafael Harvey-Pinard also scored for Rouyn-Noranda. Jeremy Martin and Pierre-Olivier Bourgeois scored for the Cataractes. VICTORIAVILLE, Que. — Anthony Poulin struck twice as the Tigres evened their series against Val-d'Or to force Game 7. Olivier Mathieu, Jerome Gravel, Dominic Cormier and Simon Lafrance also scored for Victoriaville. Daniil Berestnev and David Noel supplied the offence for the Foreurs. BAIE-COMEAU, Que. — Jakob Pelletier's second-period goal stood as the winner as Moncton forced Game 7 against the Drakkar. Alexander Khovanov and Jeremy McKenna also scored for the Wildcats. Samuel L'Italien had the lone goal for Baie-Comeau.